Despite his ever expanding wait line, Santa loves to sample all of the yummy treats the children leave out for him on Christmas Eve. 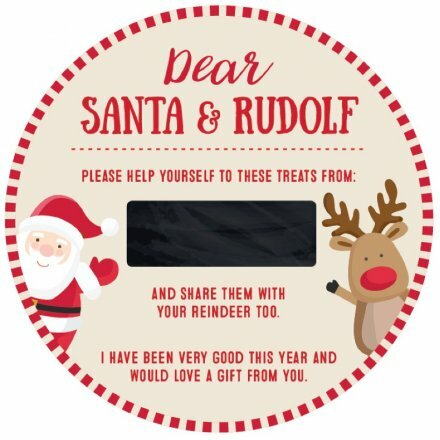 This wooden plate allows your kids, big or small, to leave Santa a very welcome snack on his big night. Head of Design, Starck Elf has even incorporated a little black board on the plate, for the children to write their names. Clever elf!